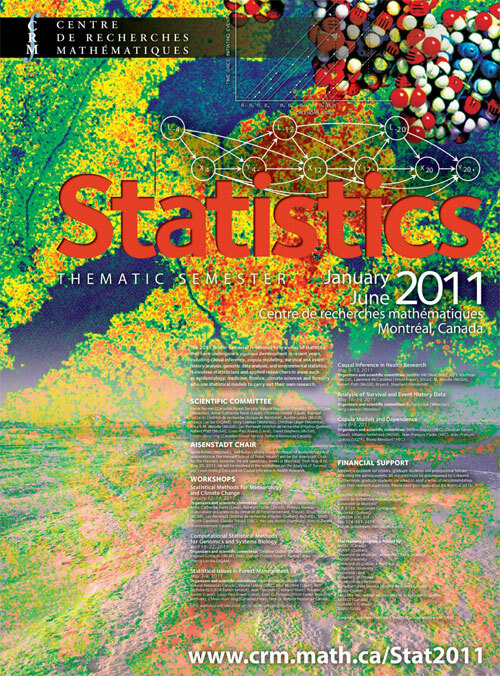 The 2011 Winter Semester is devoted to branches of statistics that have undergone a vigorous development in recent years, such as causal inference, copula modeling, survival and event history analysis, genomic data analysis, and environmental statistics. This semester involves statisticians and researchers in epidemiology, medicine, finance, climate sciences and forestry who use statistical models in their own research. There are two goals for this semester. The first is to review the latest mathematical developments in thriving areas of the statistical sciences. The second is to promote exchanges between statisticians and scientists in other disciplines and to highlight promising avenues for theoretical and applied research in statistics. These objectives will be implemented through several workshops focusing on specific areas of statistics.